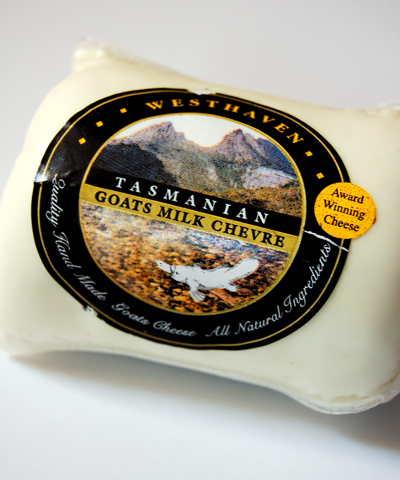 Westhaven Dairy is situated near Launceston, Tasmania and started about 30 years ago. Today they predominately make Chèvre, along with a range of both cow and goat milk yoghurt and fetta. Their goats' milk is sourced from dairies in nearby Tamar Valley. 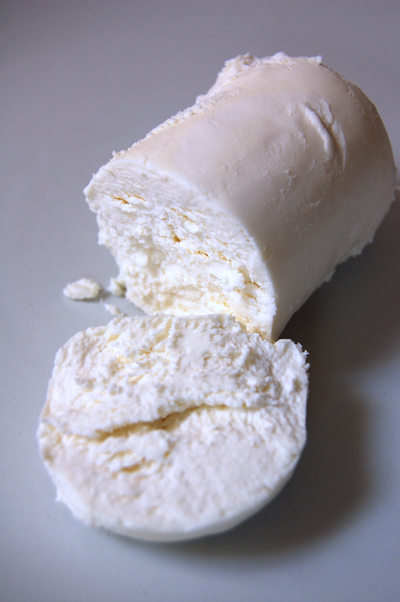 This Chèvre is a made in the French style from pure goats' milk and uses kosher certified rennet. It has a moist skin and I'd class it as semi-soft. It will crumble a little when cut. It has a mild flavour with a creamy mouth-feel and good acid levels. I'd probably assign this to be cooking cheese rather than a something I'd place on a cheese board. 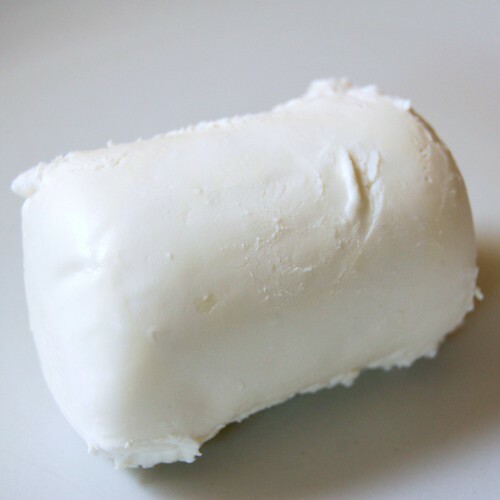 In fact this cheese was used to recently make the goat cheese crostini and proved a perfect element for the dish.